The UTA Alumni Association Scholarship Committee is accepting applications for our three scholarships until March 14th. The deadline is firm. See the Scholarship tab for more info and paperwork. 33 Alumni and Friends gathered for fellowship and shared Artistry on February 9. 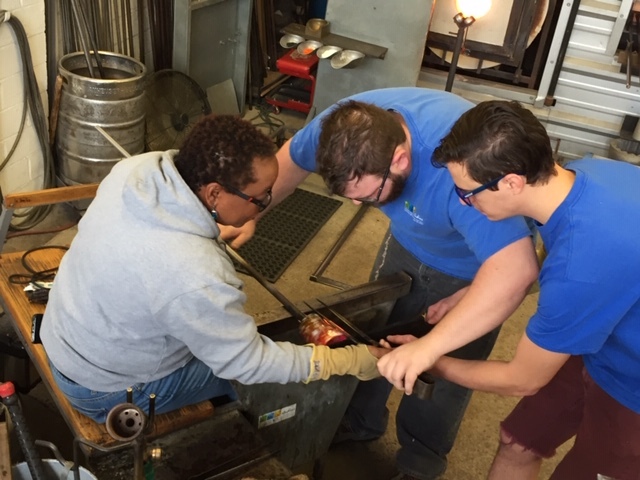 Our Third Annual Free Glassblowing Event will happen February 9, 2019, Saturday, at 11am at SiNaCa Glass Arts Facility located at 1013 W. Magnolia Avenue, Ft. Sorry! There are no upcoming events to display at this time.